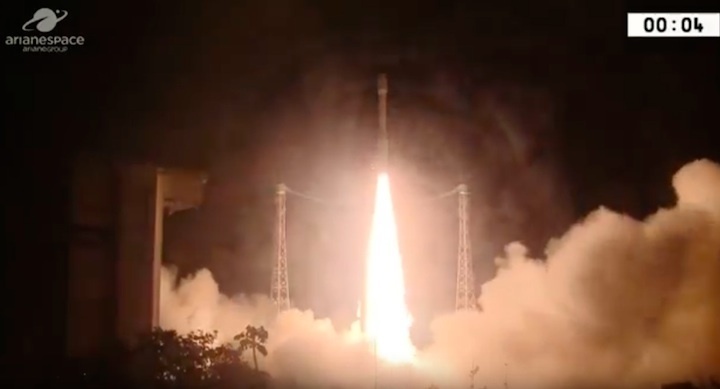 For its 10th launch of the year, and the 11th Vega mission since this launcher began its career at the Guiana Space Center in 2012, Arianespace will orbit the MOHAMMED VI – A satellite. 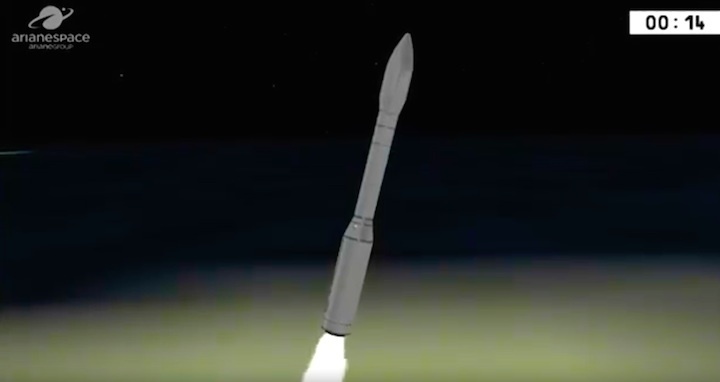 The liftoff will be from the Vega Launch Complex (SLV) in Kourou, French Guiana (South America). 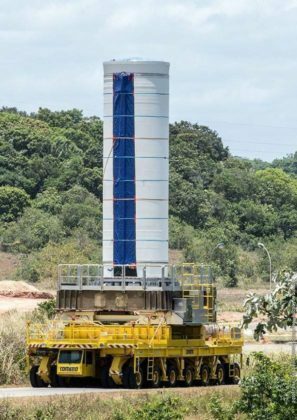 The Launch Readiness Review (LRR) will take place on Monday, November 6, 2017 in Kourou, to authorize the start of operations for the final countdown. 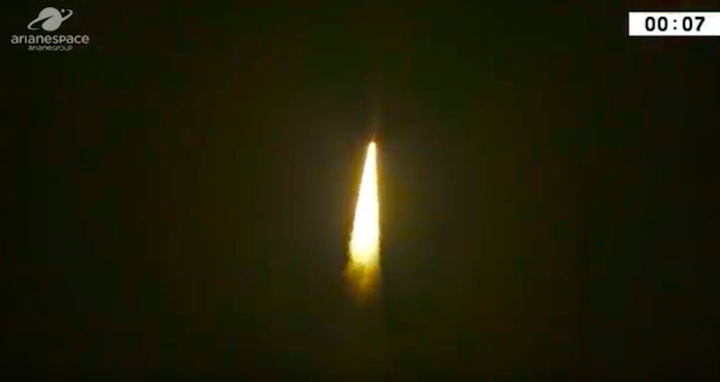 The MOHAMMED VI – A satellite is an Earth observation satellite built for the Kingdom of Morocco by Thales Alenia Space as system prime contractor and Airbus as co-prime. 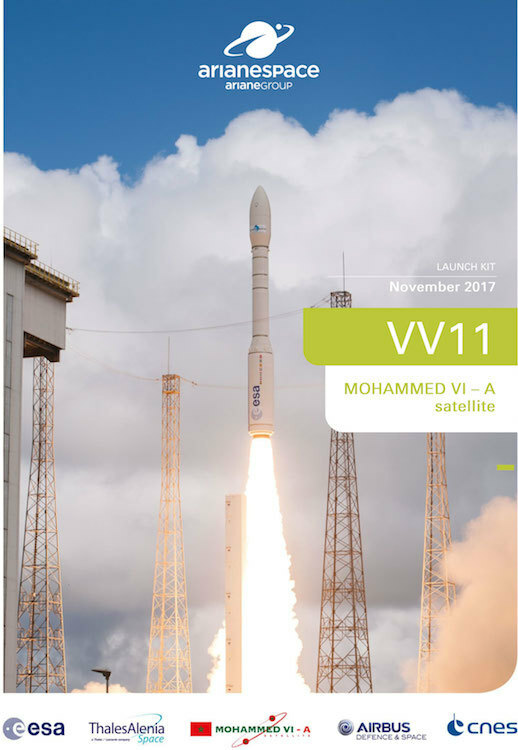 The MOHAMMED VI – A satellite will be in particular used for mapping and land surveying activities, regional development, agricultural monitoring, the prevention and management of natural disasters, monitoring changes in the environment and desertification, as well as border and coastal surveillance. 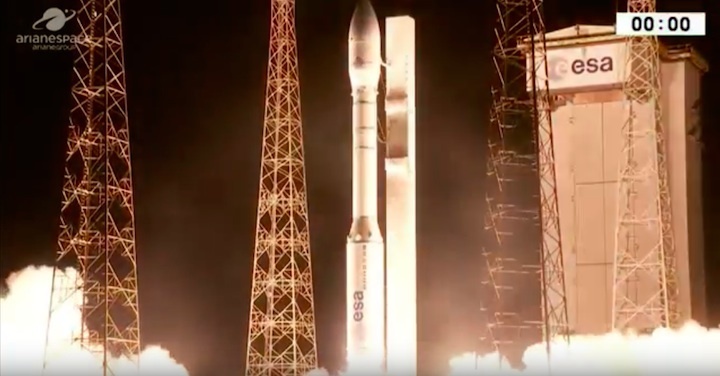 Morocco is about to make a major stride forward in space technology in the region and in Africa at large as it is readying to launch into orbit, in just a week’s time, a state-of-the-art satellite, dubbed the Mohammed VI-A Satellite. 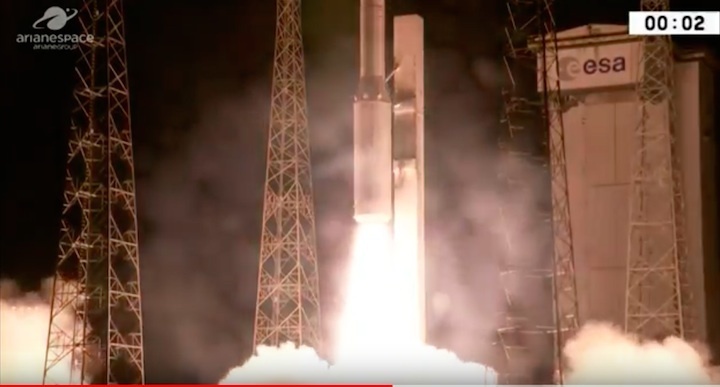 The satellite, which will make of Morocco a space pioneer in Africa, is set to bolster the country’s reconnaissance capabilities. The main purpose of this equipment will be to monitor what is happening on earth around the clock, with a high quality resolution. The satellite is capable of observing a broad band of some 800 km and is expected to “hover” at 695 km above the surface of the earth. The earth observation satellite will be, in particular, used for mapping and land surveying activities, regional development, agricultural monitoring, the prevention and management of natural disasters, monitoring changes in the environment and desertification, as well as border and coastal surveillance. Actually, this space-based imaging system, piloted from Morocco, will play a key role in the implementation of national socio-economic development strategies, primarily those relating to the agricultural sector, which is a core sector in the country’s economy. In this vein, the satellite will enable Morocco to manage better its forestry and pastoral resources; as well as its water resources, besides facilitating groundwater prospecting. The advanced technological equipment will also strengthen the capacities of national agencies in charge of mapping and land surveying activities, the agencies entrusted with the surveillance of road infrastructure, transport networks and the coastline, which extends over 3000 km. It will likewise offer environmental applications that will help the North African country consolidate its environmental strategy and honor the environmental commitments it made, especially at the COP21 and COP22 held respectively in Paris and Marrakech in 2015 and 2016. 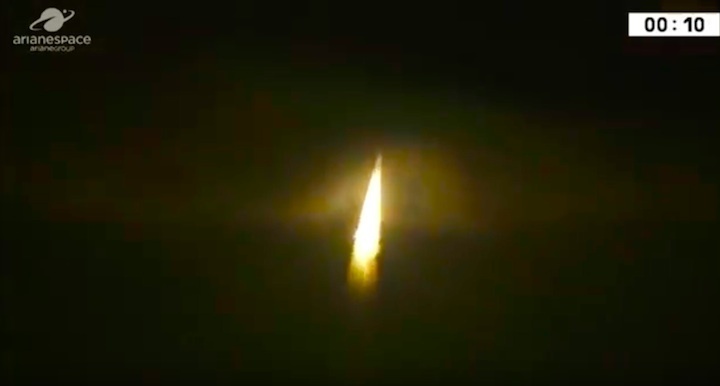 The agreement to build the satellite, signed by Morocco and France in 2013, was shrouded in secrecy and it is only recently, as the spacecraft launch was nearing, that the information was disclosed. 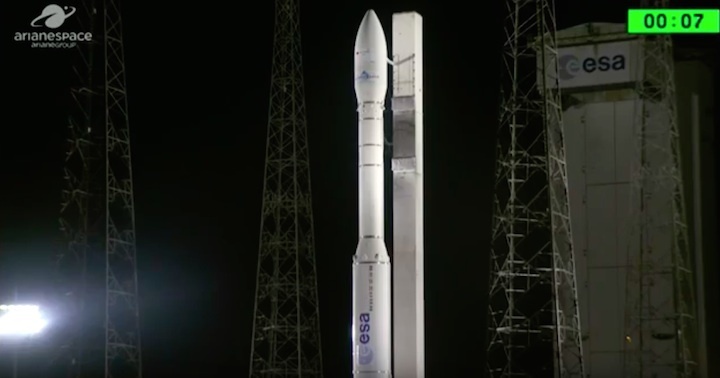 Built by Thales Alenia Space as system prime contractor and Airbus as co-prime, the Moroccan satellite, worth some €500 million, will be launched in the early hours of Wednesday November 8 from the European space port of Kourou in French Guiana using an Italian Vega rocket. 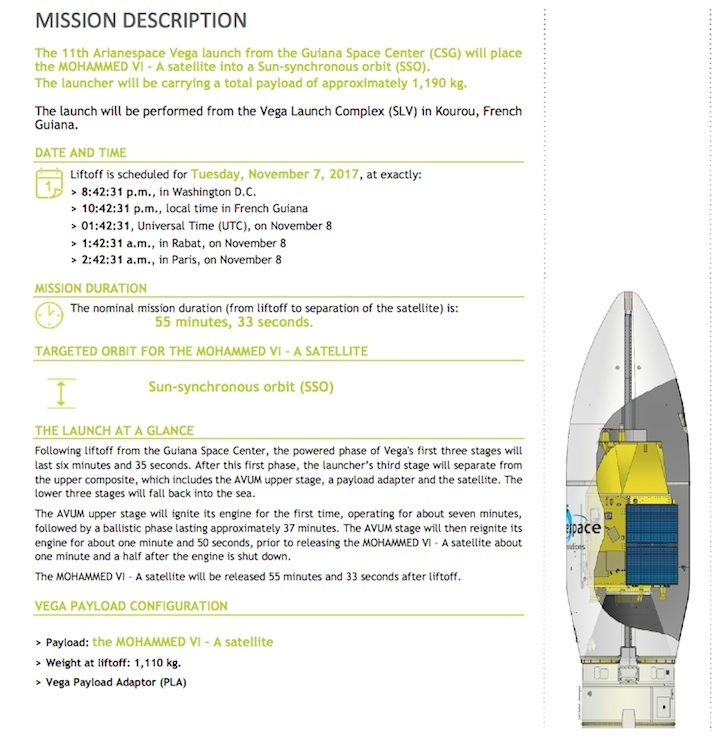 A three-axis stabilized satellite, the MOHAMMED VI – A satellite will weigh approximately 1,110 kg. at launch. 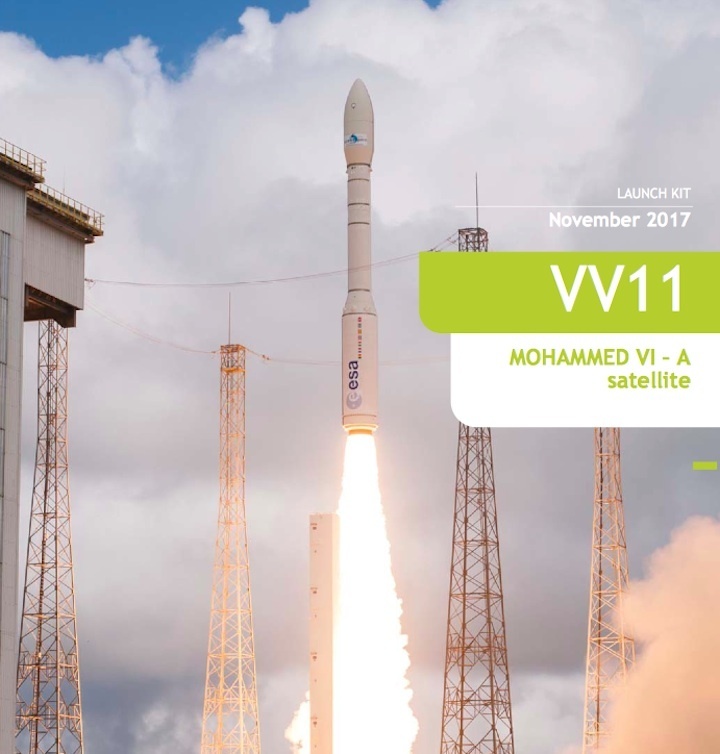 The MOHAMMED VI – A satellite is the 150th satellite built by Thales Alenia Space to be launched by Arianespace, which has 15 more satellites from this manufacturer in its order book. 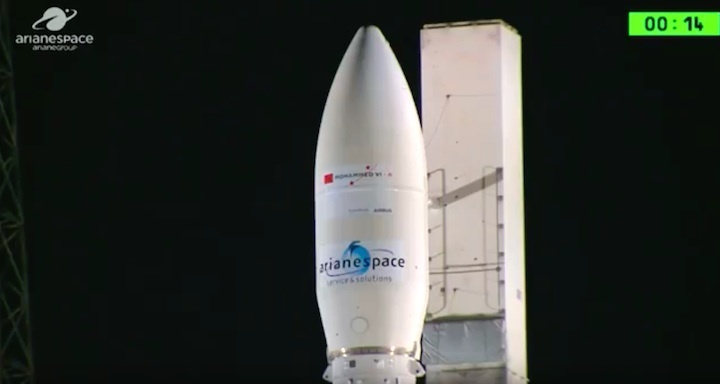 Countdown für VV-11-Vega PARIS, FRANCE 2:42:31 A.M.